Newman’s presents frozen at sea, FAS, salmon when fresh caught is not available. We feel the quality of the FAS is a close to fresh as possible and always delicious. The fish are frozen on the boats just hours after being caught at -40 degrees to maintain flavor and texture. Barbequing/grilling is our favorite for salmon is because the natural smoke flavors are enhanced by the rich tasty oils of the fish. Baking is another option. Simple is best. Pacific Halibut are largest flatfish found on the continental shelf from California to the Bering Sea. Halibut have flat, diamond-shaped bodies, typically from 10 to 50 pounds but can weigh up to 500 pounds and grow to eight feet long. The majority of halibut are caught in Alaskan waters from mid March to mid November. Longlining is the main commercial gear used to target halibut. Halibut is thought of as the “best fish and chips” because of its firm, white, mild, moist texture. It is easy to pan fry, bake or grill. It is one of the most versatile fish and can be enhanced by a number of seasonings and sauces. Bright orange “Whole-Cooks” epitomize crab eating West Coast ‘crab feed’ style. Purchased fully cooked and ready-to-eat, cooked crab must be cleaned (eviscerated) before serving and is often done at the point-of-purchase. Oregon season is generally from December through early spring. Labor-saving picked meat is usually a mixture of whole and broken leg meat accompanied by the pure white ‘body meat’ from the shoulder area under the shell. It is fully cooked and ready to add its distinctive flavor to the chef’s favorite recipe. Oregon Dungeness crab is as nutritious as it is tasty: a 3oz portion of cooked meat has 19g of protein and contains important minerals and amino acids. It is low in fat and calories, as well as cholesterol and carbohydrates. Dungeness crabs’ size sets them apart and yields about 10 to 12 oz. of flavorful meat from an average 2 pound crab. All you need to enjoy is a fork and maybe cocktail sauce. Sablefish also known as Black Cod is a delicacy known for its white, flaky texture and sweet buttery taste. It is some of the oiliest and richest white fish. 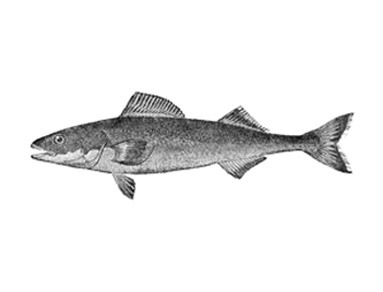 Black Cod is brought ashore by trawlers or longliners during a year round season. Sablefish is perfect for beginning chefs because of its forgiving cooking times: try grilling, baking, or smoking. Rich in taste, with high Omega-3 oil content, Black cod is a heart healthy choice. Sole and Flounder are abundant off the Washington Coast and Oregon’s fleets of trawlers provide these delicate and delicious fish year round. Sole and Flounder are sustainable and abundant. Petrale is the finest of the soles compared to the more common Dover and English and is considered the mildest of the ocean fish with a delicate texture. It is usually found in 4 to 12 oz fillets. Because of the fillet size, it cooks very quickly sautéed or baked and can take seasonings and rich sauces. Firm fillets, flaky texture and delicate sweet flavor make Pacific Rockfish perfect for pan frying, sautéing, and baking, and fish tacos. Sole and Flounder are abundant off the Coast of Washington and Oregon’s fleet of trawlers provide these delicate and delicious fish year round. Sole and Flounder are sustainable and abundant. Albacore Tuna is also called tombo, Pacific albacore or even just tuna. However, it is the only tuna species that may be marketed as “white meat tuna” in the United States and are typically 15 to 20 pounds. We typically sell the loin with the bones removed; similar to a pork loin in length/shape. Tuna is easily cooked on the barbeque/grill, pan seared, and is delicious either with or without a marinate. It is excellent as sashimi. Albacore Tuna is popular for home canning and home canned Albacore will ruin you for the commercially canned commodity. Yellowfin is often marketed as ahi, from the Hawaiian ahi (a name also used there for the closely related bigeye tuna) and is among the larger tuna species, reaching weights of over 400 lb. Yellowfin tuna is widely used in raw fish dishes, especially sashimi. This fish is also excellent for grilling and is often served seared rare. There is an old wives’ tale, “Don’t eat shellfish in months without an “R”, translating to the summer months when they are molting and spawning. While Newman’s oysters are naturally farm raised in the monitored Pacific waters, we agree, the best quality and textures come in the colder months…months without an R. The biggest concern in the summer is that they have a shorter shelf life because they are coming out of warmer waters that can breed algaes and red tides that can contaminate shellfish. Newman’s Oysters come from the Oregon Coast and Clams and Mussels from Puget Sound. Mussels can be smoked, boiled, steamed, roasted, barbecued or fried in butter or vegetable oil. As with all shellfish sold in the shell (except shrimp) mussels should be checked to ensure they are still alive just before they are cooked; enzymes quickly break down the meat and make them unpalatable or poisonous after dying or uncooked. A simple criterion is that live mussels, when in the air, will shut tightly when disturbed. All three, oysters, clams and mussels, are sold live in the shell ready to be steamed. Shucked oysters are fine for frying and oyster stew. Mexican White Shrimp are described by number per pound and the larger the shrimp/fewer per pound, the higher price per pound. At Newman’s, 26/30 per pound are medium, 21/25 are large, 16/20 are jumbos. Prawns and shrimp are interchangeable words depending on geographic region and the chefs’ preference for the menu. Prawns often indicate larger shrimp. The most important tip is not to over cook. If boiled, shrimp will be cooked within three minutes and should be removed immediately and rinsed under cool water to stop the cooking process. Shrimp are some of the most versatile seafoods for boiling, frying, broiling, baking and enjoying in a cocktail with Newman’s Cocktail Sauce. Oregon Shrimp meat, also known as Bay Shrimp or Pink Shrimp meat, comes directly from the Oregon Coast and is wild caught by trawlers from April through October. These come fresh, pre-cooked, and ready to eat, top a salad or in Newman’s Shrimp Louie. The shelf life is about 3 days after purchase from Newman’s. Atlantic Sea Scallops are wild caught, large, 10-20 per pound, and frozen at sea, FAS. We prefer the quality of the FAS over the fresh given the length of time at sea and shipping distance/time. Like the FAS salmon, scallops, are all natural, frozen within hours of catch without additives, and often referred to as “dry.” Scallops are available year round from the northeast Atlantic. When available, we have fresh caught Ling Cod and almost always Pacific Cod filleted from FAS fish.